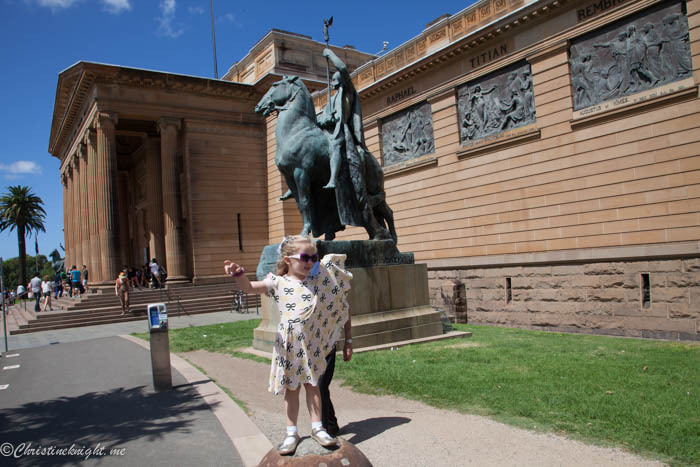 Sydney Kids: The Art Gallery of NSW for Families - Adventure, baby! 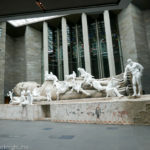 Sydney’s Art Gallery of NSW (AGNSW) was established in 1871, a home to international and Australian permanent art collections, temporary exhibitions, programs and research. 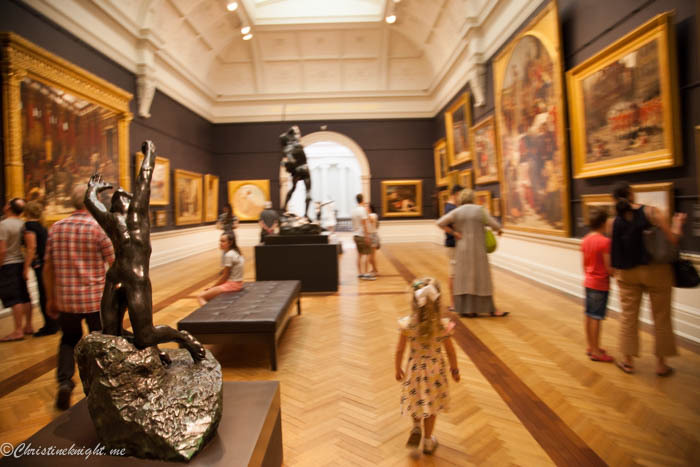 The gallery has a particularly beautiful collection of colonial and 19th-century Australian works and European old masters, as well as galleries dedicated to the arts of Asia and Aboriginal and Torres Strait Islanders. 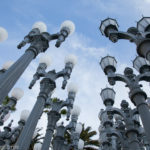 I’ve been visiting the art gallery since I was a teenager. First on school excursions, and then later with friends and my now husband. I’ve loved art all my life and introduced my daughter to art as a baby, hoping that she will grow up to similarly appreciate the arts. 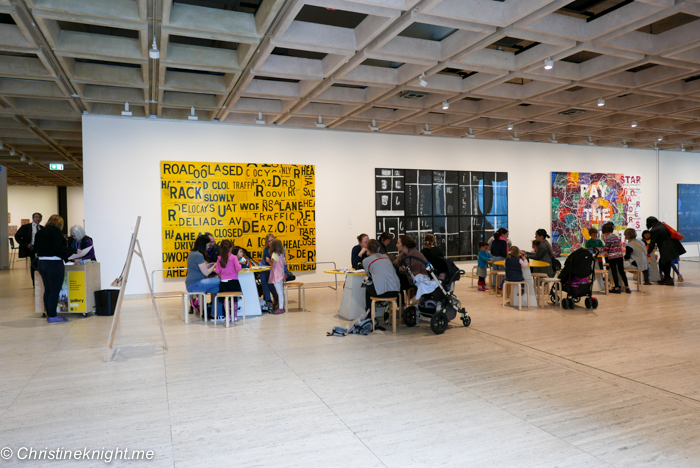 We love visiting the gallery during their family programs as they makes art so much more accessible to young people. 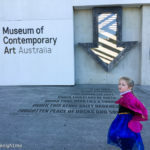 The AGNSW has a busy schedule for kids of all ages, from toddlers to teens, and, best of all, the majority of them are free! 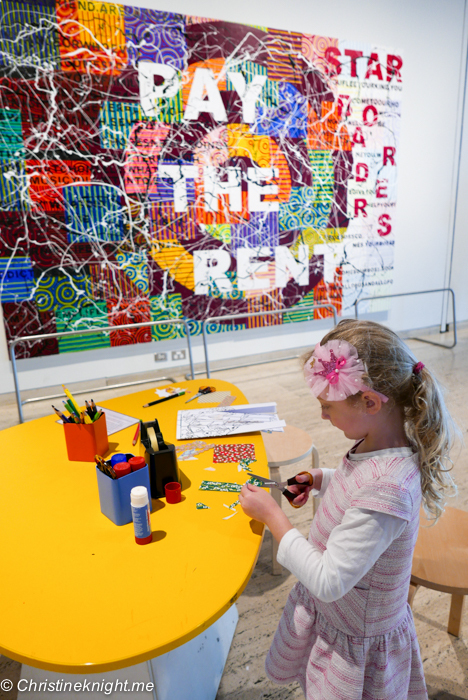 Our favourite program is the twice-monthly “drop in and make” art activity. 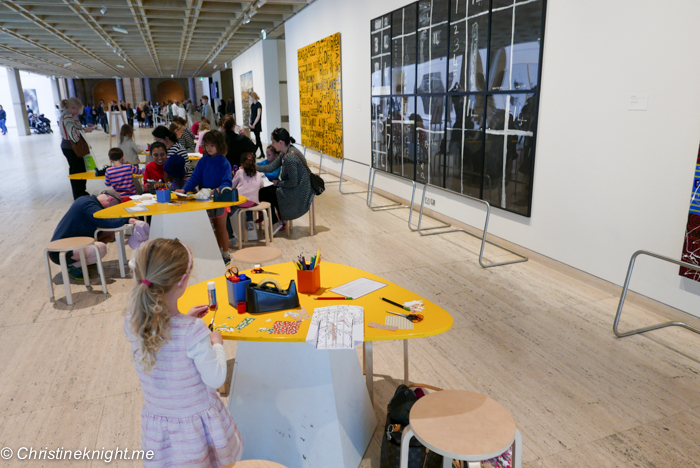 Held in the entrance court of the gallery, the activity is free and suitable for kids of all ages plus their carers/families. 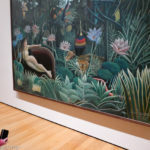 The activities are always designed so that little kids can enjoy scribbling if they like, and older kids can create something really beautiful that is themed to a current exhibition. This month the art-making activity was crafty kimono cards, taking inspiration from the Japanese art of Tsukioka Yoshitoshi. We were provided with materials and instructions on how to make a kimono card with a special hidden pocket to store secrets. There is no time limit on making the activities, which was lucky for us as we sat there making our card for over an hour. The drop in activities are very popular, particularly on rainy days. We were told we should come back a few hours later (not sure what we were meant do with a kid until then?) but decided to wait until a table freed up, which was only about 5 minutes luckily. About half an hour later the majority of tables were empty, so I advise waiting for a table rather than taking the staff’s advice to leave. On the lower level of the gallery we discovered another free family activity area free with a different activity: “make your own zine”. This space is also home to rotating activities for kids or adults to enjoy. 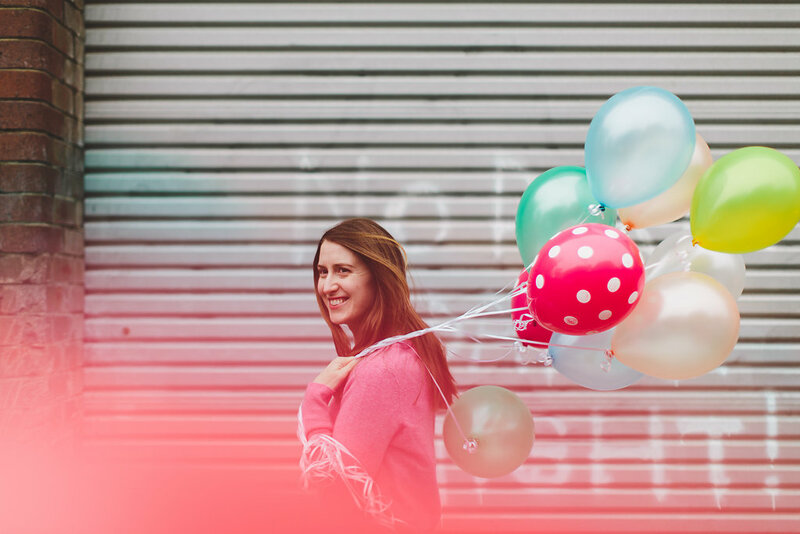 At the moment, you can create your own self-published booklet filled with ideas, words and images. 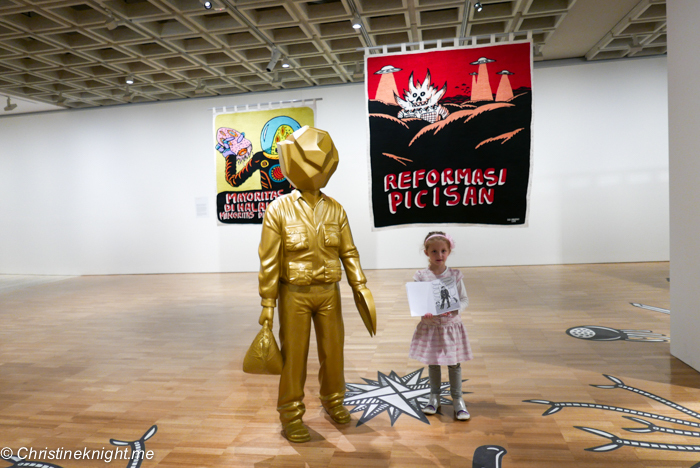 The activity is inspired by Indonesian artist Eko Nugroho whose exhibition is currently on display in the gallery. This area of the gallery is open Monday to Friday from 11am to 4pm during the school holidays (26-30 September, 2-7 October), as well as every weekend. During the school holidays, gallery staff will be on-hand to provide instruction, inspiration and additional collage materials. 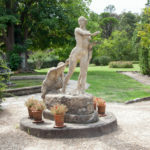 The AGNSW also has age-specific programs running throughout the year. “Kids Club” for ages 5-8 and”Art Club” for ages 9-13 both run on weekends with “tour for tots”, ages 2-5, on week days. 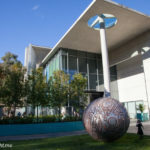 For kids with special needs and their carers, “children’s access workshops” runs once a month on week days, and during the school holidays there are special workshops for kids and teens such as calligraphy and “clay club”. 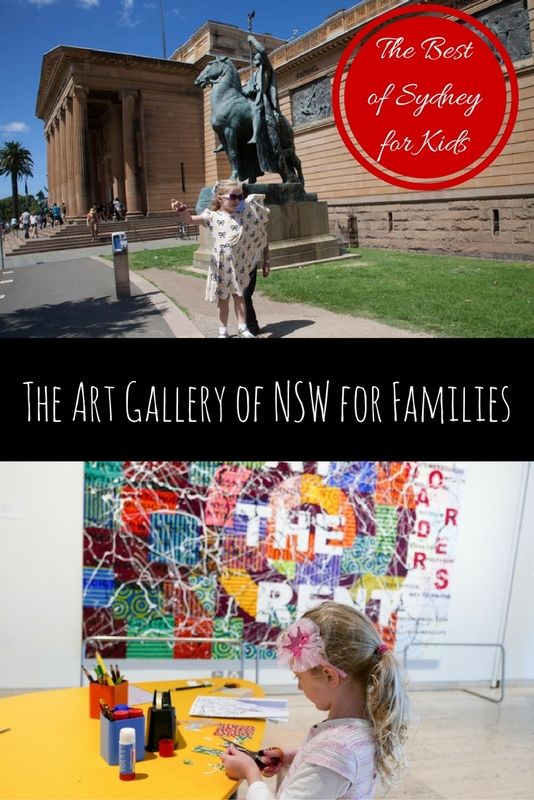 Get more information on family programs at the AGNSW. Getting there: get the train to Circular Quay and walk, or park at the Domain parking station which is right next door to the art gallery. Weekend parking is $10 all day.